Giving Hope Lawn Management is proud to serve the community of Montpelier with professional lawn care and landscaping services. For more information or to get a free quote call us today at 804-839-8340. Everyone knows that Montpelier, VA, is famous for President Madison’s estate. Just one visit through the lush, rolling lawns is enough to make anyone want to move here! Unfortunately, our community remains a smaller one. That makes finding the ideal home or commercial maintenance services a challenge when you need help keeping your curb appeal up. That’s why the best in Montpelier lawn care is still with Giving Hope Lawn Management. Since 2011, we’ve offered more types of quality landscaping service options at lower rates than any other company around. Whether you have leaking irrigation systems or just need quality grass mowing options, we offer it all! Stop spending too much on your landscaping and choose the team more residents trust! 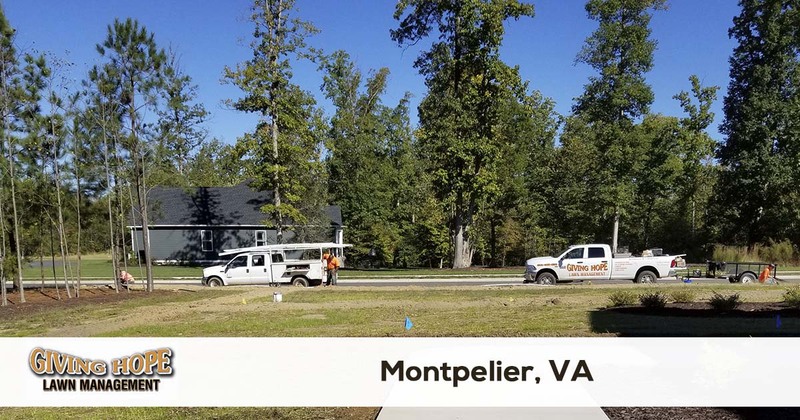 While your home may not be as luxurious as the Montpelier estate, you still deserve to have your lawns look their best. But when you don’t have a full-time landscaping team maintaining your plants, it makes it difficult to keep them looking lush. That’s why we offer more types of yard care options for any lawn need. Whether you need a more reliable monthly maintenance service or more types of landscaping for less, we are always here for you! Call today for your quote and see how we can save you more. No one else cares for your lawns as we do! If you’re ready to start enjoying your perfect yard finally, then it’s time to hire us. We promote better curb appeal and plant health for less every day! Don’t hire just anyone for your yards. Instead, call the team with the experience you can trust for complete lawn care solutions! Giving Hope Lawn Management is the industry leader for lawn care and landscaping in Montpelier. We offer a 100% satisfaction guarantee with all of our services, so there is no risk for you to give us a try. Give us a call today for the fastest service at 804-839-8340.